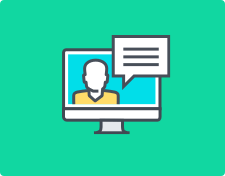 I have been teaching german online and in various institutions since 2 years. Completed my masters in german language and have got 5 years of corporate experience and currently working with Amazon as a language expert. Many of my students are in Germany and working there . I have been teaching german since 4 years to various individuals, groups and corporate people. I am more in online teaching and focus on all aspects of language as per Goethe Institute. "I found Jitender to be a good teacher for German language who can understand the level of each student and guide them to achieve language skills in a short period of time. He is passionate of teaching and he can be approachable anytime for a class and he gives special interest to improve the pronunciation and speaking skills.Moreover he gives special tricks to study the grammar and i can recommend to everybody who is looking for German classes, to learn from him and it is worth of the time ,money and effort spent by each aspirant.I wish him good luck for his career as a language specialist. " "Learning a new language is always exciting as well as challenging. 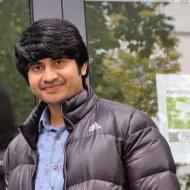 Jitender sir has helped me well in slowly getting to know the German language. He has clarified our doubts if we had any and has made it easier to learn the new language. Thank you sir. " 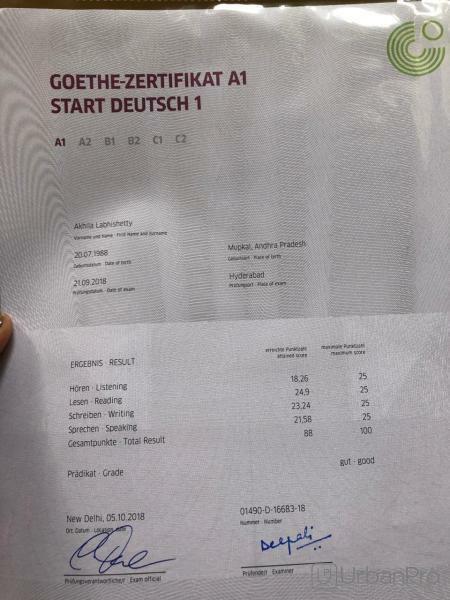 "I have tried almost all the institutes for learning German Language But no luck for me for almost 3 months to find a right trainer with best quality teaching method . After researching over the Hyderabad market for 3 months, I found the best trainer Mr. Jitender Chaudhary , He makes you kid while teaching.. He repeats what he says till we understand and say it back.. He asks us to repeat the words again and again... No bookish teaching like most of the trainers. He is very practical in teaching, Teaches rhymes. He Sings. We were like a nursery kids while learning German language. I have not even felt a single day that I am learning a foreign language. "He is the BEST and He tries to give more than the BEST always" My request for you is to ,Please don't waste your time by searching all the institutes and faculties here and there ,call him ,have a demo. I am sure you will never try to miss his classes from next day on wards." "Before I begin, let me just say that there is no single "best" program for learning German. It will require using multiple resources to achieve true fluency. That being said, is good lecturer (Herr Jitender). When I started learning a language I didn't know about the courses which can be taken and trust me taking a course from Jitender Chaudhary. " Languages like german and french are having a lot of scope in indian markets from job point of view. You will find many jobs after learning these languages. Japanese and chinese language experts are also in high demand and are paid high salary in indian markets. Jitender Chaudhary describes himself as German Teacher. He conducts classes in German Language. Jitender is located in Himayatnagar, Hyderabad. Jitender takes Regular Classes- at his Home and Online Classes- via online medium. He has 4 years of teaching experience . Jitender has completed Bachelor of Arts (B.A.) from Amity university in 2012 and Master of Arts (M.A.) from Karnataka university in 2017. He is well versed in German and Hindi. Jitender has got 13 reviews till now with 100% positive feedback.